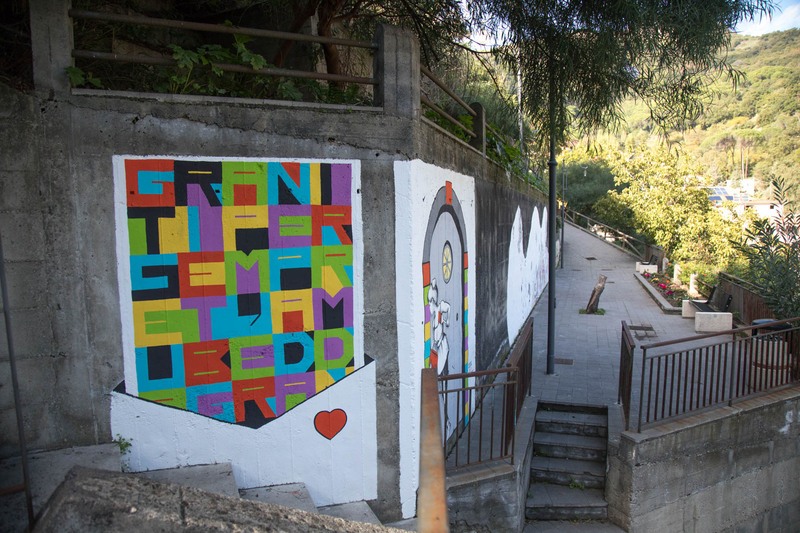 Deb’s mural is located in La Terraza and is an abstract love letter to Graniti, inspired by Italian artist Alghieri Boettii. 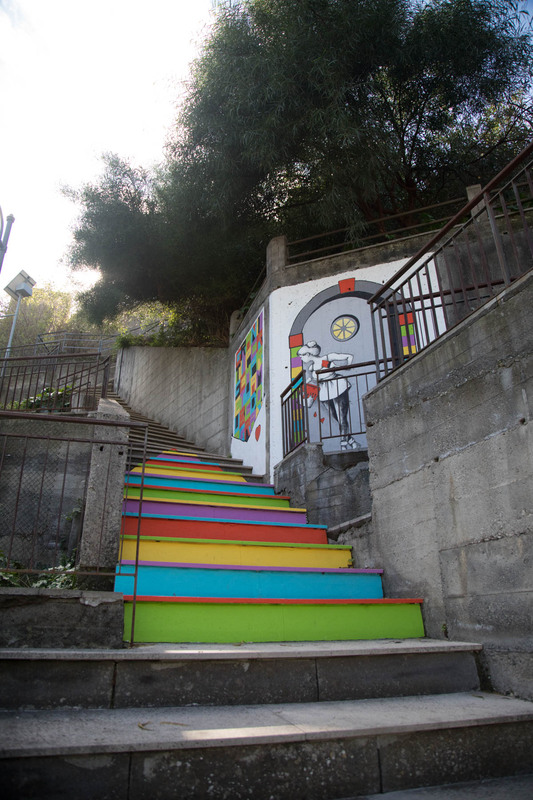 She chose to wrap her design around a corner and to incorporate the stairs adjacent to her wall. Deb’s husband Rob was a great assistant in painting and cleaning the area. 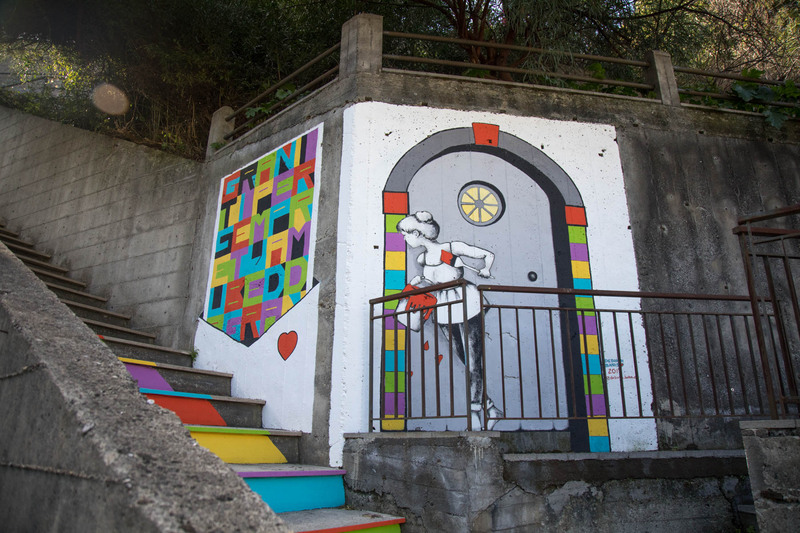 The addition of murals to this area are helping the community revitalize a scenic park area that had been let deteriorate.